Are you looking information about cross pollination? You will find the meaning of cross pollination, different methods used for cross pollination and know the advantages and disadvantages of cross pollination in this article. Cross-pollination is the transfer of pollen grains from the anther of one flower to the stigma of another flower of the same species. Cross-pollination is also known as allogamy. In cross-pollination, pollen grains are being carried by different agents like insects, animals, wind and water. To achieve cross-pollination, the flowers also secure various adaptations. Cross-pollination is common amongst angiosperms. The cross-pollination between similar species is called as xenogamy. Cross pollinated plants have large sized flowers. Presence of scent and smell in flowers. Presence of nectaries producing nectar in flowers. Presence of edible sap in floral parts. Presence of edible pollen grains. Presence of special mechanisms for cross-pollination in flowers. Self-sterility : Self-sterility is the peculiar feature in many flowering plants. Here, the pollen grains do not germinate on the stigma of the same flower or another flower of the same plant. On the other hand, the same pollen grains are fertile on the stigma of another plant. This property of plants is called self-sterility. Self-sterility is commonly found in plants like maize, apple, grapes, orchids, etc. Due to the presence of self-sterility, transfer of pollen grains from one plant to another is essential and this is performed by different means like air, water and insects according to their adaptations. Unisexuality : Flowers in many plants are unisexual. Therefore, the only way of pollination is either geitonogamy or cross-pollination in these plants. Plants having unisexual flowers may be monoecious or dioecious. In monoecious plants like the gourd, cucumber, Emblica Officinalis, maize, etc., both male and female flowers are found on the same plants. To stop geitonogamy in monoecious plants, both male part and female part of unisexual flowers are placed at distant branches. They also develop and mature at different time periods. Dioecious plants are essentially cross-pollinated. Herkogamy : The failure of autogamy or self-pollination due to physical hindrance in a bisexual flower is called herkogamy. Due to this adaptation, pollen grains from a flower cannot reach to the stigma of the same flower. However, geitonogamy can take place. The can be seen in plants like Calotropis, Asclepias, Epipactis and Orchids. In these plants, pollen grains in an anther are not free, rather they are compounded in the form of a pollinium. Pollinia of two adjacent anthers are joint with the help of the translator. Insects are attracted towards open flowers in search of nectar. 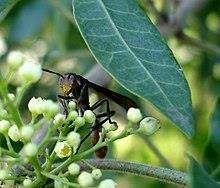 Their legs get entangled with the translator of pollinia. When these insects fly over from these flowers, the pollinia remain attached with their legs and thus reach to another flower with them. Thus the process of cross-pollination is completed. Prepotency : A general phenomenon has been observed in many plants that pollen grains show late and slow germination of the stigma of the same flower. On the other hand, these pollen grains germinate quickly and rapidly on the stigma of another flower. This phenomenon is called prepotency. Dichogamy : Dichogamy is the condition in which the two reproductive organs of a bisexual flower i.e., stamens and carpel show their maturity on the different time. heterostyly : In some plants, floral dimorphism or trimorphism is found. With respect to the length of stamens and style, two or three types of flowers are found in these plants. These conditions are called as distyly or tristyly, respectively. Distyly is found in plants like Primula, Fagopyrum, Linum, etc. while some species of Linum and Lythrum show tristyly. Due to the difference in the length of style and stamens, this condition is called heterostyly. This type of adaptation discourages self-pollination and promotes the chances of cross-pollination. Cross-pollination occurs between two flowers of two different plants. Bisexuality of flower is not essential for cross-pollination. Flowers are large sized, beautiful and contain nectaries. large numbers of pollen grains are required. Seeds produced are healthy, heavier and large in number. Progenies of cross breeding plants are healthy and show hybrid vigour. There are chances of development of new characteristics in progenies. Progenies show a greater degree of variation due to recombination of characters between parents. Plants produced are not genetically pure. Cross-pollination increases heterozygosity in plants. Chances of pollination depend upon external factors or agencies. Cross-pollination results in the production of healthy and stronger offsprings. A large number of seeds are formed by cross-pollination. Cross-pollination results in the production of new varieties of plants with useful characters. Cross-pollination is used in the improvement of plants. The chances of pollination are minimum. A large number of pollen grains are required for pollination. The purity of plants is completely ended. The plant requires lot of energy and food materials to adapt various devices to bring out pollination. Nowadays, plant breeding has become a fascinating branch of agriculture and biology. The technique of plant breeding implies the pollination of female flowers of an economically important plant with pollen grains of desired plants. Such techniques are useful for developing new crop varieties with desired valuable characters. It has played important role in the green revolution. Many useful varieties have been developed in rice, wheat, maize, potato, pulses, and oil seeds through artificial pollination.